Improve Your Security! Don't have blank checks with your Account Data sitting around the Office. Why use expensive pre-printed checks when you can print your own? Use our blank laser check paper with your laser printer to produce your own checks! 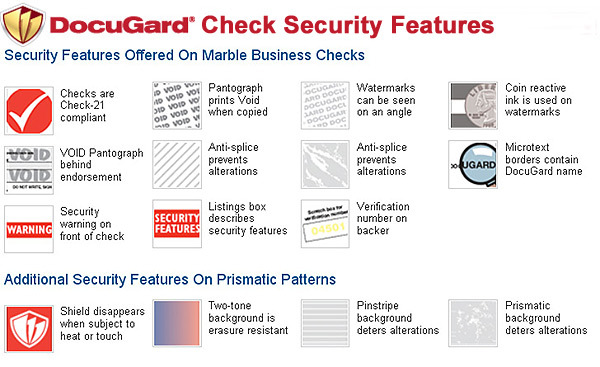 DocuGard™ laser check stock features highly advanced security features designed to combat check fraud, and is much more economical than pre-printed checks. 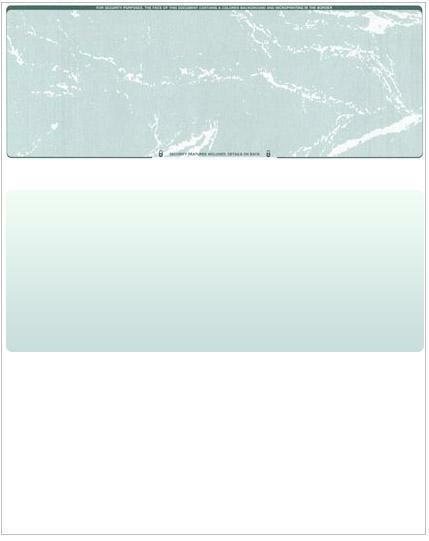 Each package contains 500 sheets (1 ream) of Marble Green 24# check stock, with the check at the top of the page, and perfs at 3-1/2" and 7".